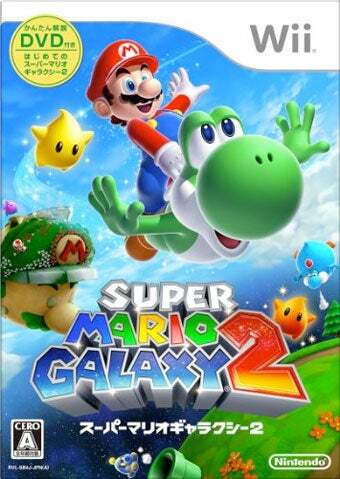 It was a super week for Super Mario in Japan, with Super Mario Galaxy 2 seeing super sales. The sequel to Super Mario Galaxy out-supered its nearest competitor, Super Robot Taisen OG Saga: Masou Kishin - The Lord of Elemental. The latest figures from Japanese sales tracker Media Create put Super Mario Galaxy 2 at 340,000 copies sold in its first on the market. Not too shabby! A better first week than the original Super Mario Galaxy, but not quite New Super Mario Bros. Wii numbers. It was a week filled with new debuts, like Cave's new Death Smiles IIX, Alan Wake and a slew of Japanese games that appeal strictly to Japanese tastes. Last week's champ, Lost Planet 2, managed to stay in the top ten, as did Metal Gear Solid: Peace Walker, which could be a million-seller in Japan, given a few more months. For the top thirty bestselling games in Japan for the week of May 24 to 30, read on, super readers.